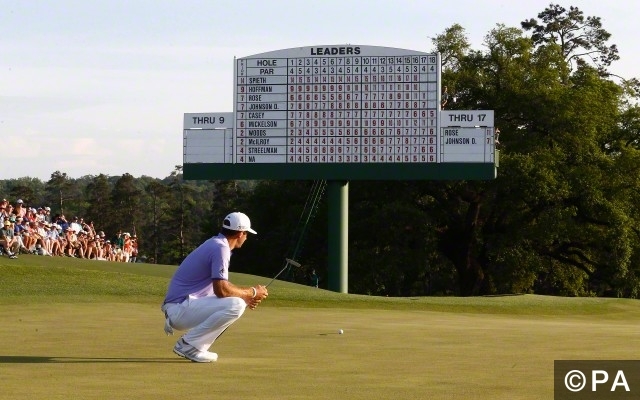 Imagine hitting the perfect iron shot onto the green and hearing the roars of the Augusta faithful get louder and louder as your ball trickles towards the hole. Priceless….and, more importantly, an eagle to add to your scorecard. The likes of Adam Scott, Ian Poulter and Ryan Moore have all struck a hole-in-one at the US Masters, and even Jack Nicklaus carded an ace here at the grand old age of 75! (admittedly in the Par 3 contest prior to the main event). As of the 2015 Masters there had been 25 aces in the main tournament, and no single player has yet struck more than one. The last came in 2014 courtesy of Harris English. Four of the first five hole-in-ones in the competition were struck at the 16th hole, and these date back as early as the 1930s; where the brilliantly-named Willie Goggin amongst others flourished. Of Augusta’s other holes, the 6th has been aced five times, the 12th four times and the 4th just once – by Jeff Sluman in 1992. Five renditions of the US Masters have witnessed multiple aces, with the 2004 renewal seeing the most with three; which were contributed by Padraig Harrington, Chris DiMarco and Kirk Triplett. It is this 16th hole that has witnessed more aces than the other three Par 4s combined, so pay extra special attention on the TV coverage when the ball is teed up here. All in all, 15 hole-in-ones have been made at the sixteenth, which has been extended in length from 145 yards to 202. That didn’t stop both Scott and Bo Van Pelt clobbering one in during the 2012 event. The key is pin placement; the 16th green is undulating, which dictates whether the players have a slope to work with rolling towards the flag or one they have to combat. As you can probably tell from the record, course managers at Augusta tend to like the hole to be at the bottom of that down-slope. But those that like to gamble on firing at the flag must be warned: there is a huge pond that runs parallel to the green, and this has brought many to their knees. This clip shows the 16th’s sweet slope in all its glory; the balls of Triplett and Harrington appear to have stopped before being seemingly magnetised to the hole after hurtling down the undulation. One thing is for sure, this Japanese commentator enjoyed them anyway…. Footage of genuine aces at the US Masters is hard to come by online, so instead enjoy this little number from Kaymer in a practice round at Augusta. The German casually skips his iron shot across the pond before it rolls lazily into the hole for the ultimate in ‘I was there’ moments – watch here. At the age of 75, most of us would be happy simply with being able to talk coherently and control our own bowels effectively. Not so Jack Nicklaus: he’s still hungry for golfing glory….as this clip attests. Can It Be Done This Year? The good news for punters is that Ryan Moore, a former hole-in-one maker at Augusta, has already opened his account for the season, while Alex Cejka – the only man to hit more than one ace on the PGA Tour in the 2015/16 campaign – is yet to qualify. Scott, Poulter and Van Pelt will all return and hope they can become the first two-time ace in the Augusta pack. Want Free US Masters Tips 2016? Head over to our find our what our three selections are for this years tournament.